In summer 2016 the annual sculpture display in the Rijksmuseum’s gardens is dedicated to Italian artist Giuseppe Penone. The exhibition is on view starting from 10th of June. You are welcome to come and see it! A bronze tree carrying a solid block of granite between its branches, a tree trunk with water gushing out of it, and images drawn from the artist’s own forehead are among the enigmatic works of Giuseppe Penone. Of the 25 Penone’s sculptures, 18 are displayed in the gardens and 7 in the Rijksmuseum. 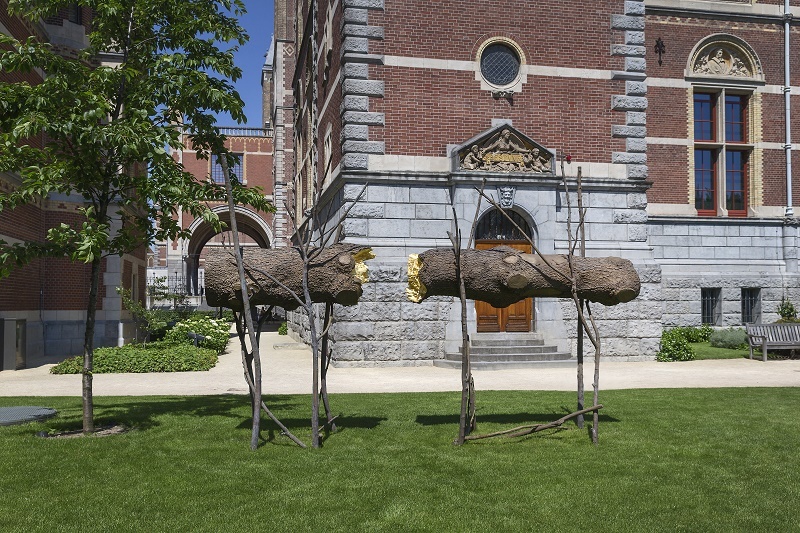 Penone exhibition in the Rijksmuseum’s gardens is on view daily from 10 June to 2 October 2016. Opening times: 9.00 till 18.00. Entry to the gardens is free. 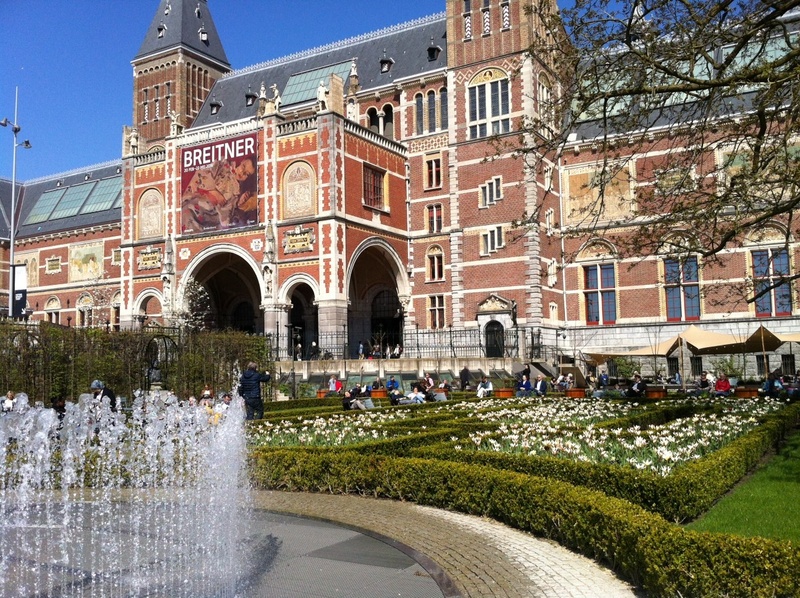 And they are definitely worth visiting when you are having a long day in Rijksmuseum or Van Gogh museum located nearby. 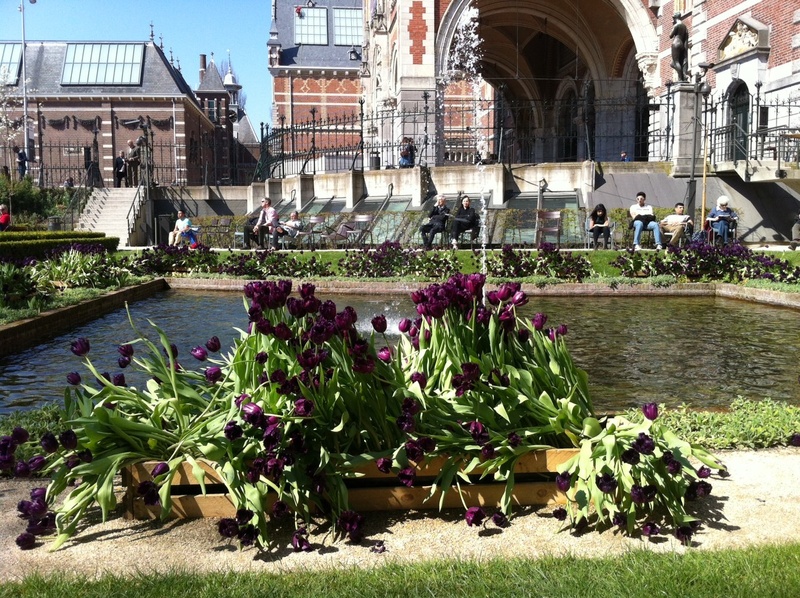 Come to the gardens, take a seat and enjoy the beautiful day in the center of Amsterdam. Yes, these are the moments not to miss when you are visiting Holland! To make your visit to Amsterdam museums more relaxed and enjoyable (no waiting lines!) we recommend you to order tickets online. You can order tickets to Rijksmuseum (17,50 EUR) and Van Gogh Museum (17 EUR) directly.